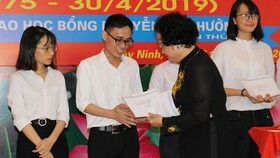 Prime Minister Nguyen Xuan Phuc has ordered the Ministry of Public Security to open an investigation into the recent high school exam scandal in the northern mountainous province of Ha Giang. So far, Vu Trong Luong, Deputy Chief of the Examination and Quality Management Division under the provincial Department of Education and Training, has been arraigned for his part in the scandal. The Ministry of Education and Training (MoET) reported the shocking news at a press conference on July 17, while also confirming more than 300 test results of 114 students would be adjusted. 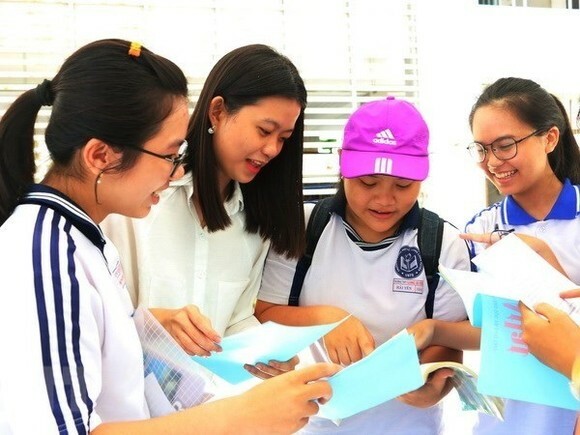 Following the abnormally high test results in the province, on July 14, an inspection team led by Mai Van Trinh, head of the Authority of Examination and Quality Management under MoET, started re-grading all students’ answer sheets. The inspection revealed that, bar the literature test, all eight others which were taken as multiple-choice test showed signs of cheating. A total of 102 maths test results were adjusted, as were 85 in physics, 56 in chemistry, 52 in English, eight in biology, eight in history and three in geography and 52 in English. Several students ended up with results more than 20 marks higher than they should have received. Some even ended up 29.95 marks better off. Nguyen Cao Khuong from the Ministry of Public Security said Luong was mainly responsible for scanning answer sheets into a computer then sending the database of results to the MoET. He then took advantage of his position to download the database of tests to his personal computer. According to the inspection team, from 12pm to 2.38pm on June 27, Luong was in charge of transferring two boxes of multiple choice answer sheets and a computer to the provincial Department of Education and Training. 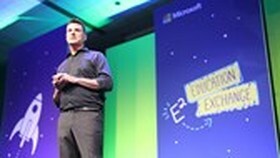 In only two hours, he broke the seal, pulled answer sheets out and altered answers. Till now, no other individual has been found to be Luong’s accomplice. However, it seems impossible he could have altered all the answer sheets in the period as it took the inspection team of 10 people eight hours to do the same thing. “We are conducting further investigations,” said Khuong. He added that the database of the 2017 national high school examination results was still on Luong’s computer, which he voluntarily handed to law enforcement. 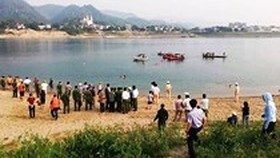 Tran Duc Quy, Vice Chairman of the provincial Ha Giang People’s Committee, said they were unable to ensure the examination’s security. “There are things we cannot control despite our efforts to tighten management. Our limited capacity created loopholes for the fraud to happen,” he said. “However, we tried to re-grade and announce the real test results for examinees. 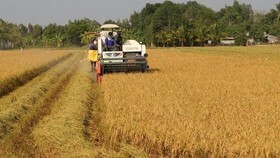 Ha Giang province’s education sector, however, has learnt a salutary lesson,” he added. Vu Van Su, Director of the provincial Department of Education and Training, said that they would take responsibility for the incident. “We worked all night to reach the final conclusion and reveal the real result in the effort to regain the belief of Ha Giang’s people,” he said. 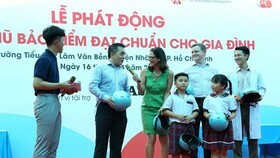 The national high school examination has been held for four years. The result is used to determine if a student graduates from high school and gets into their dream university or not. Since 2017, the multi-choice form has been applied to all tests except for literature. In 2018, MoET tightened the exam’s security by stamping bags of answer sheets with signatures of supervisors and universities’ representatives. “What happened in Ha Giang province was terrible but it does not mean we need to change the examination which is approved of by a lot of people. 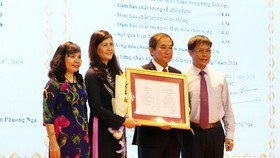 In the years to come, the ministry will come up with solutions to improve it,” said Trinh. The last examination was taken by 5,400 Ha Giang students. In the top 11 students nationwide with highest scores, the province contributed three. Regarding the physics test, 65 students scored nine or higher, accounting for 67 percent. The abnormal result triggered social uproar.